Figure it out, in three years of karate, I have learnt only one kata! During class, my sensei made me ‘repeat the same kata hundreds of time, for hours, days, months, until he considered I had assimilated it and understood it.’ With time, I understood that ‘only a great will, a great motivation and a total loss of ego can allow the mastery of a martial art.’ Those word are not mine, of course, but do you know who they belong to? I invite you to discover it through this reflection on kata. Up to this point, if you feel like being tricked or start doubting, it is a pretty good sign (I was there too in my first years of practice)! To progress in karate, you should, I think, try to understand, to open you mind. Is it a good thing just to mimic/repeat what you were taught, without reflecting on it or trying to challenge it? Problem is, even for long-time teachers, what they were taught might have been wrong or misunderstood. A simple analysis will help us understand that those definitions of what a kata is are not realistic. Oh yes, I almost forgot: “kata” in Japanese translates into ‘form’ or ‘mold’. This you already knew, but it is not the most important thing to remember. A kind of individual training? did you know there are katas in judo and aikido too and that you don’t practice them alone but with a partner (fundamental codified sequences/forms)? while training in karate (Shotokan, Shito-Ryu, Wado-Ryu, etc. ), did you ever practice Ten-no-kata, alone in its omote form and with a partner in ura? If your answer to both questions is no, maybe you are not interested in traditional karate and in the history of martial arts: you have to right to do so, I had been in this case myself for years (at least before I started to be a teacher). Of course, one may focus on physical conditioning and aesthetics through kata practice. That is what athletes in sport karate do. However, never working on techniques with a partner is missing the very essence of the kata. do you think you are able to defend yourself against a determined, smart and maybe armed aggressor who planned his attack and manage to take you by surprise? despite years of practice and mental preparation, are you sure you will not be disturbed or even paralyzed by fear, stress and danger, when it comes to defend yourself? Of course, I hope you will never have to face such a situation. Unfortunately, as it is already difficult and dangerous to defend against one aggressor, it seems unrealistic to believe that a kata aims at teaching us to fight 4, 5, even 10 opponents. So, the kata would then be a combat against one opponent? A drill to work with a real partner? That is better, but we are not exactly there yet. Is the kata a representation of a fight? how many defensive actions/parades have you done during this fight (congrats by the way!) and how many deadly blows have hit your opponent (not that effective, obviously)? have you ever witnessed violent fight situations (in the streets, without rules or protective gear)? If so, have you seen the opponents hitting each other for long periods of time? In a real combat situation, everything goes very fast and is generally a matter of seconds, at most. So, it is not realistic to think that a kata will teach us to combine dozens of techniques (even more in an established pattern). A kata is more about learning short sequences, applicable in self-defense. 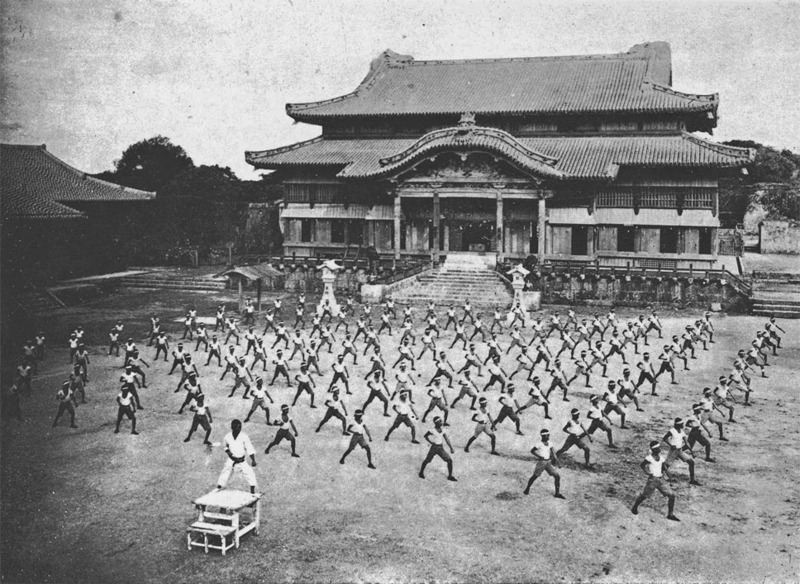 Actually, we know that the Okinawan masters who taught karate (long before its opening to a wider audience in the beginning of the 20th century) granted much importance to kata training: the main goal of their martial art training was to defend themselves and their family from life-threatening situations. The katas are the legacy of the grand masters (they even sometimes bear their names). In a way, they are a codified synthesis of their self-defense knowledge. In addition, teaching a kata favors the transmission of this knowledge from a generation to another. There are many katas (more or less depending on which karate style), some of them including a wide range of variations. Some are very specific of a given style, others share the same origin but were altered over centuries of practice and from a ryu to another. You did not know? Modifications in katas have always existed, long before sport karate. 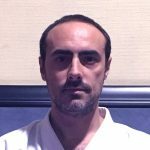 This is why, if you consider a kata being a defense system on its own, you cannot just practice it, or just list the techniques: you need to go further in its study and consider the kata as complete a self-defense training method. How to study a kata? practice of the kata: diagram (embusen), coordination, slow/fast movements, balance, timing, muscle memory, strength training, etc. implementation principles: positioning, breathing, stance, speed, relaxation, contraction, use of the hips, kime, etc. tactics & global strategy: types of parade & attacks, feinting techniques, counters, defense zones, vital spots, etc. bunkai applications in free fight (ideally against realistic attacks, with or without weapons): adaptation, timing, realism, etc. repeat and work again and again on all those aspects: for instance, some karate masters consider you need to practice a kata from 3 000 to 5 000 times to start ‘feeling’ it! This list is not meant to be comprehensive, so imagine the sum of work it represents: how many years of practice would be necessary to start mastering all those aspects in a kata (even though we would have access to the teachings and explanations of its creator)? Why only one kata in three years? In his book Karate-do: My way of life, Gichin Funakoshi recalls that he started to train in karate at 11 under Master Azato. The latter had him train exclusively on the first tekki (naihanchi) kata, for three years: back them, Funakoshi found that tiresome, exasperating, even humiliating sometimes. However, he made a motto out of “hito kata san nen” (one kata in three years): it was a common saying among karate masters at the time. Actually, this saying does not mean that you need three years to learn a kata, but rather that it is the minimum of time required to have your body assimilating the moves. Are you ready to dive deep into karate thanks to katas? This entry was posted in News Articles and tagged bunkai, funakoshi, kata, kumite, self defense, tekki, training by Antonio Guerrero. Bookmark the permalink. Receive the next seminars & articles about karate.